The new way of gaming. The game case provides you the possibility to enjoy your own game console at any location where power is available. Just slide in your own console, hook up the connections in the case and you are ready to play. 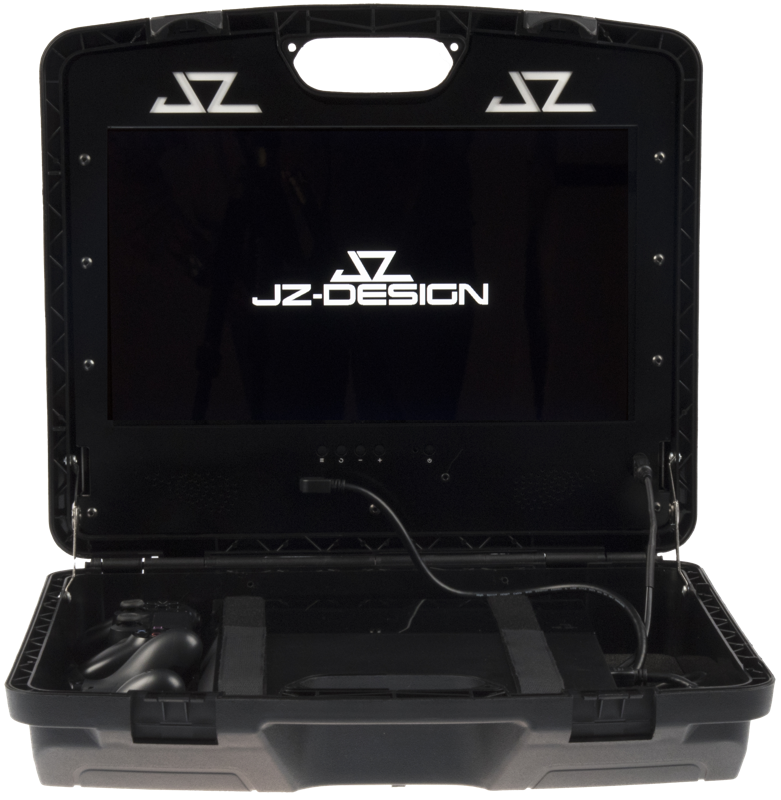 The JZ Design Game Case is all you need to stay connected. Choose The Best Deal For The Best Experience. Price on request. Send us your wishes and we will contact you. 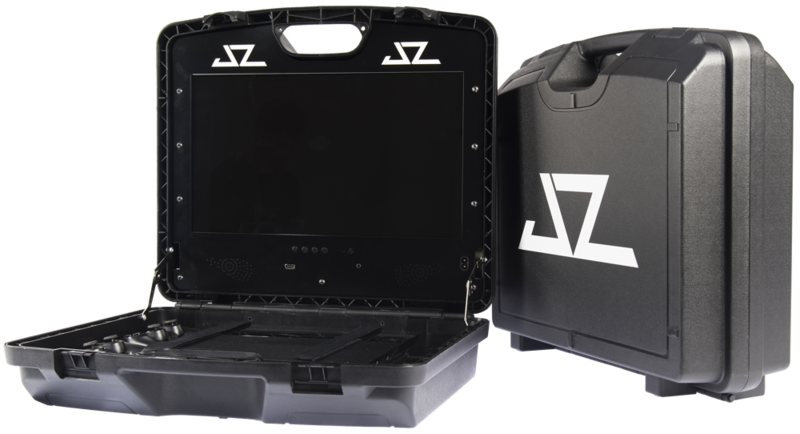 Share the JZ Design Game Case with your friends by the Playstation or XBOX network. Or just share it with our social accounts. Gaming on this 19 inch HD LED screen is such a big pleasure. This is definitely the best way to enjoy your game console on the road. If you’re gaming, you really need to experience the game with the best sound there is, right? These high quality speakers makes it possible. Just discover it yourself. We can’t make this any easier for you. Just plug in the power cable, turn on your game console and you’re ready to play. When you’re travelling you really want to be seen with this state-of-the art Game Case 2.0. This amazing strong case will protect your game console in the best way there is. The hinges in the case will prevent the screen from closing, even in extreme situations. It will easily endure turbulant flights or bumpy roads when you’re playing on the plane or bus. The Game Case 2.0 is everything you need on your trip. Just tell us your wishes..
Do you have a game tournament with friends? Does your girlfriend want to see her Netflix serie on the TV? Or do you travel a lot? From now on it’s possible to use your game console on the road, in the plane or just at home.